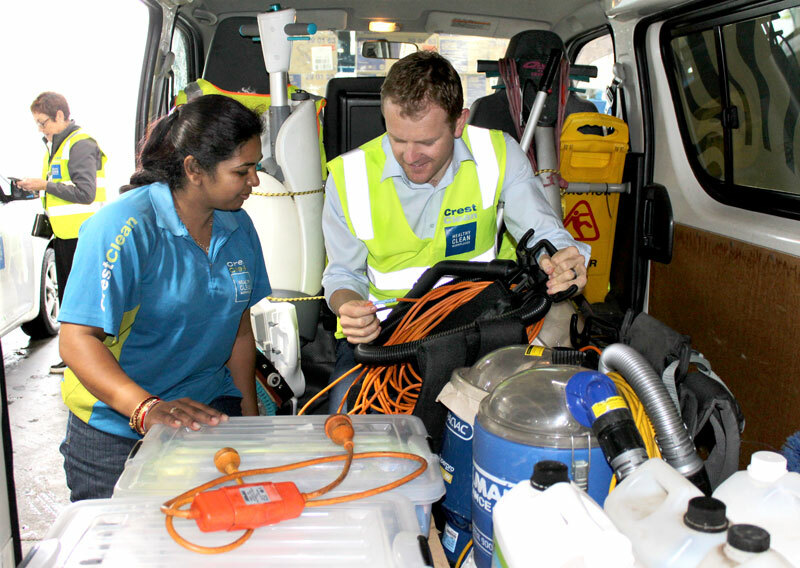 Aleshni Kumar with Sam Lewis, CrestClean’s General Manager Franchise Services. The heavens may have opened on the day but the wet weather didn’t dampen the spirits of business owners at CrestClean’s biggest vehicle audit. 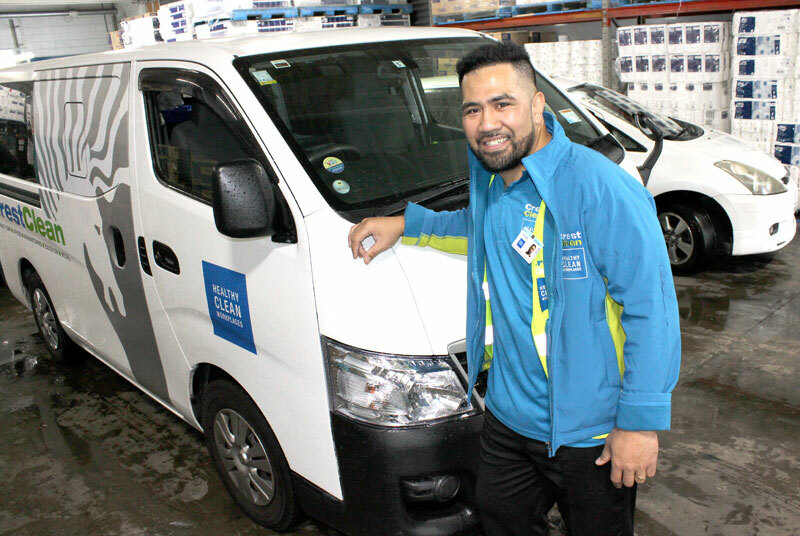 Sam Lewis, CrestClean’s General Manager Franchise Services, says the venue provided by Alsco’s Fresh & Clean central Auckland site meant the essential checks could be carried out under cover. “Due to great facility we managed to stay dry indoors. The weather was a factor but we were impressed that, come rain or shine, we got a really good turnout of franchisees for the audit. “Our teams are dedicated and understand the importance of these vehicle audits for our branding and the importance of compliance within our industry. CrestClean vehicles began rolling in for the audit at 7am and by early afternoon 138 vehicle had been scrutinised by a team of inspectors. Franchisees’ vehicles are audited regularly to ensure they meet compliance guidelines as part of the company’s Safety and Environmental Management System. Equipment is also checked to ensure it is clean and correctly stored. 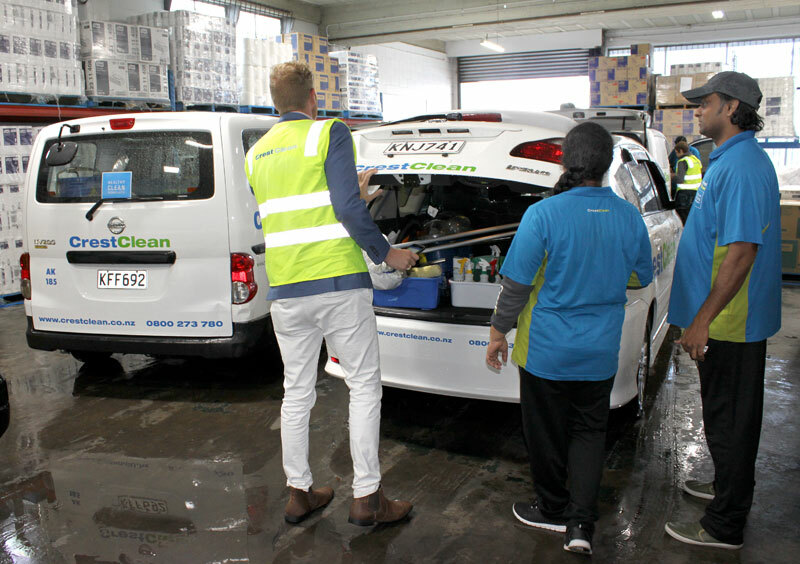 Each vehicle was thoroughly checked by Auckland-based Quality Assurance Co-ordinators and senior CrestClean staff from the company’s Dunedin’s head office. As well as vehicle checks, other inspections focused on the equipment carried in each vehicle. All chemicals used for cleaning have to be correctly labelled and have corresponding material safety data sheets, which need to be carried in vehicles. Electrical equipment is also checked to see if it has a current test and tag and is fit for purpose. ID badges were examined along with uniforms and CrestClean business owners had their paperwork examined to ensure their business is compliant. 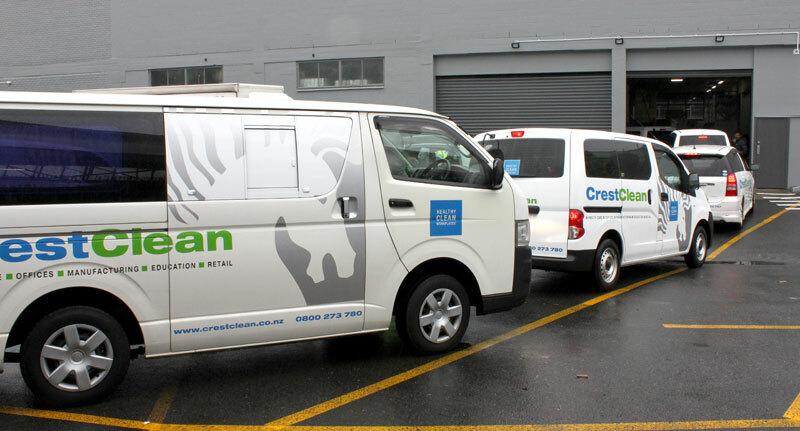 The audit of the CrestClean vehicle fleet is also essential for maintaining CrestClean’s Environmental Choice NZ certification, he says. 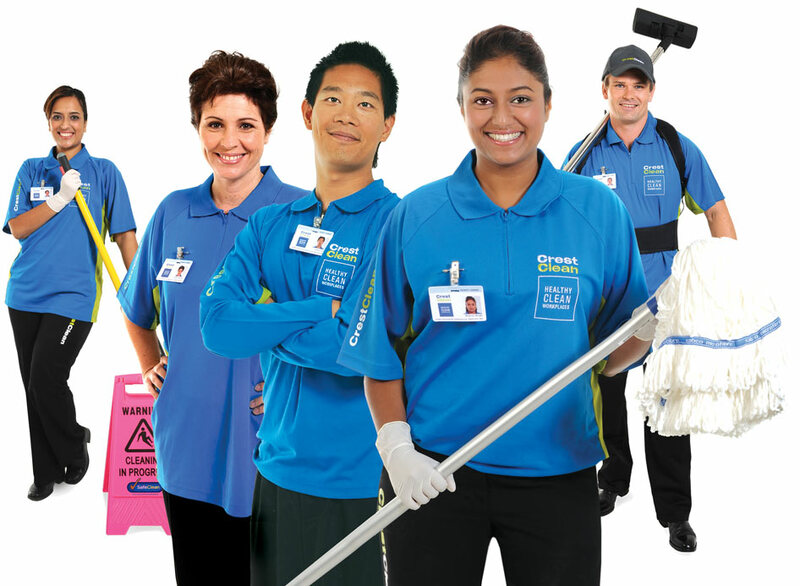 CrestClean is the only national cleaning company to have this valuable third party endorsement. Vehicles arrive for the early morning audit in Auckland. Sushma Wati and Sunil Chand have a nice tidy out of their vehicle. Malologa Faafoi is proud of his new Nissan NV350 van. Nilan Elpitiya Kumarasinghege and Watudura Karunaratne with Damon Johnson, CrestClean’s Assistant Franchise Manager. 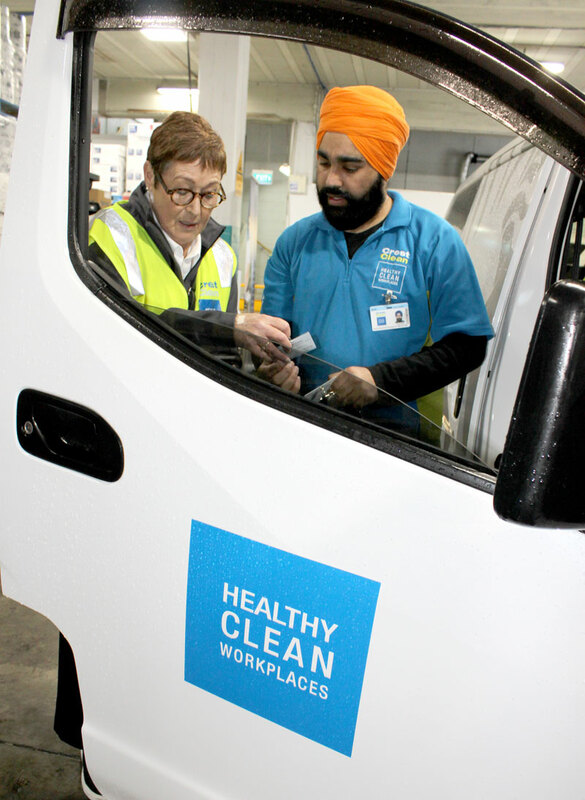 Harpreet Singh with Julie Griffin, a CrestClean Quality Assurance Co-ordinator. 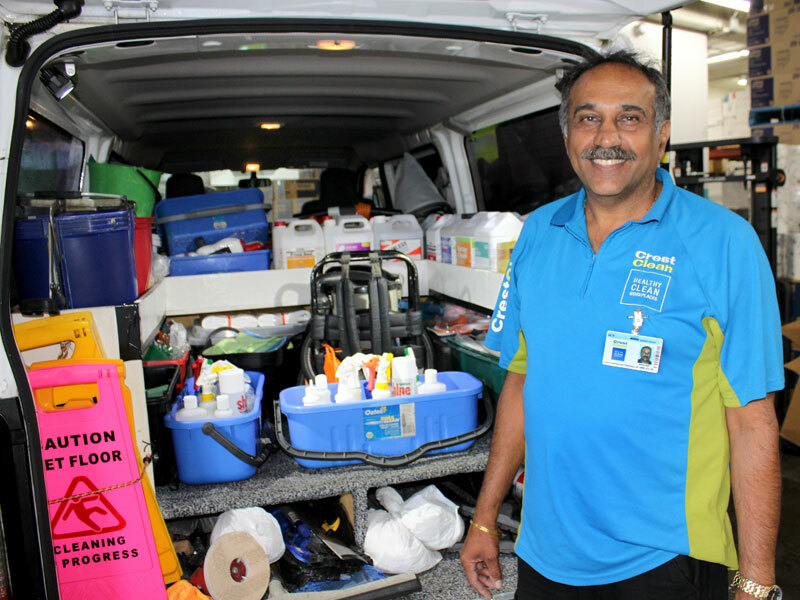 Resham Singh has his van so organised!